Novi New Roof | Novi Roof Tear-Off | Novi Roof Installation | Novi New Roof Estimate | Novi Roofing EstimateMcGlinch & Sons CO.
McGlinch & Sons is a reliable roof company you can trust. We can send out a crew for a roof tear-off and give you a fair new roof estimate. McGlinch is an exterior home improvement business dedicated to serving the Metro Detroit area since 1917. Our professional and experienced crew will make sure your new roof and roof installation is completed with meticulous detail. McGlinch offers Novi area residents roofing estimates that are competitive, and we stand apart from competitors. We value and appreciate the support of our customers over the years, and we look forward to making you our next satisfied customer! McGlinch is experts at exterior construction and specializes in roof tear-offs and new roof builds. The city of Novi is located about 25 miles north-west of Detroit with a population of 55,224. Every year Novi hosts a Japan Festival in the city which is the largest Japan festival in the state. As licensed and insured professionals we dedicate ourselves to excellence. If you need a new roof or a roof tear-off, get the quality workmanship you deserve by contacting us. Our new roof estimate is affordable, and you can put your mind at rest knowing you hired the best. Many Novi residents trust McGlinch for their roof estimate and roof installation. 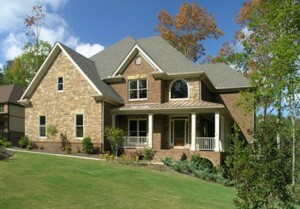 McGlinch is a four-generation family owned and operated roof provider that provides durable and dependable new roofs. We offer our customers a roof tear-off, roof installation or even a new roof estimate. McGlinch & Sons uses quality materials for an incredible new roof. Call us today at (313) 278-2777 for your roofing estimate in the Novi area. We are a knowledgeable company dedicated to giving you the new roof you deserve. Moreover, we always think of customer’s needs first and provide what is best for you new roof.